Popular Protest against US-backed Government in Kabul: What is going On? Two days after a deadly blast in Kabul’s diplomatic quarter, why did thousands of residents and civil society activists participate in a protest near Kabul’s presidential palace calling for the resignation of President Ashraf Ghani and Chief Executive Dr. Abdullah Abdullah? There are several lingering reasons that have contributed to the outpour of the people on the streets. It is important to highlight and concisely analyze the three leading factors behind the protest of June 2. The ineffectiveness and institutional corruption of the National Unity Government (NUG) is well-documented, which predates the formation of the NUG in 2014. This is not a new development in the country’s political theatre. However, the “unresponsiveness” of the NUG officials towards fraud adds an additional layer of frustration among the disenchanted youth. President Ghani (an ethnic Pashtun from the Ahmadzai branch of the Ghilzai confederacy) has not delivered palpable results contrary to his campaign promises of restoring security and creating “millions” of jobs. Ghani still has not tackled the patronage networks (locally referred to as the Mafia) who are guilty of financial embezzlement (i.e. Kabul Bank), evasion of taxes, drug trafficking, and kidnapping. It appears that corruption, economic stagnation, and high unemployment rates are not the leading factors that motivated the activists to come out on the streets. For protestors it is about the crucial issue of staying alive! The question many people are raising is what needs to happen to NUG since it is unable to protect the lives, property, and dignity of its citizens? Millions of voters placed their trust and future hopes in the hands of the NUG. Many protestors are now questioning the NUG’s commitment to holding its end of the “social contract.” The fragile people-to-state trust appears to be declining rapidly with the mounting wave of violence. Activists have also voiced their criticism of the conciliatory policy that NUG has taken toward the Taliban. The “soft approach” policy toward Taliban started in Hamid Karzai’s second term (2009-14) where he referred to the Taliban as his “disgruntled brothers.” Appeasing the Taliban has more or less has continued to the present day. Activists are tired of hearing the same cliché answers after each suicide attack. The level of NUG’s unaccountability at various layers of the Afghan National Security Forces (ANSF) is astonishing. The second reason why most people are protesting is because of NUG’s unilateral decision to bring Gulbuddin Hekmatyar and his supporters back to Kabul without any legal due process. Hekmatyar’s destruction of Kabul during the Mujahedeen infighting is not forgotten, 1992-96. Hekmatyar is also a Ghilzai Pashtun. He is the current leader of the Hezb-i Islami, a militant political party that carried out many bloody attacks against the U.S. led coalition forces in post-2001 Afghanistan. NUG’s total disregard of publics’ aspiration has now added an ethnic dimension to the deteriorating people-to-state relations. On May 4, 2017, Hekmatyar was welcomed to Kabul by NUG in an ostentatious fashion days after Ghani fired Zia Massoud, the younger brother of Ahmad Shah Massoud (Hekmatyar’s chief rival). Zia Massoud is a semi-influential figure in the Tajik controlled Jamiat Islami Party. It is important to note that Zia Massoud and some of his supporters decided to later join the protestors on June 2. It added a new twist, which protestors called an “opportunistic” maneuver by a marginalized political actor with little or no political vision. The ethnic tensions has also deepened among the country’s Uzbeks, especially after General Rashid Dostum, First Vice President, travels to Turkey for a unknown period of time. 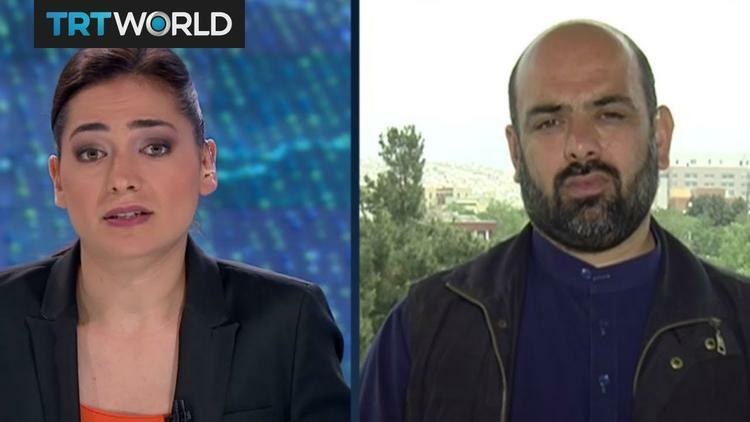 Dostum’s supporters are raising pointed questions about the sincerity of the so-called “medical reasons” absence that was given to the public by the NUG’s spokesperson. The country’s Shi’a Hazara population is frustrated with the uncertain future of the Turkmenistan-Afghanistan-Pakistan-India (TAPI) pipeline. The central regions of Afghanistan, was and remains, relatively underdeveloped. It continues to be mostly without electricity, which adds to the socio-economic struggles of the citizens in that part of the country. Another point of frustration for the Shi’a population (Hazara and Qizilbash) is NUG’s reluctance to provide sufficient security during their organized demonstrations and public religious observances (Ashura). The July 23, 2016 attacks in Deh Mazang area of Kabul, which took the lives of 80 people and injured 230 other, was a peaceful protest organized by the Enlightenment Movement over the TAPI pipeline route and to express their anger toward the Shi’a underrepresentation in the current administration. It remains to be seen if the June 2 Kabul protest will culminate into a bigger social movement which seeks better security, responsibility, employment, and democratization or will it be another forgotten episode once another deadly blast takes place. The risk of political opportunists hijacking the youth- led protest and turning into an ethnic or sectarian impasse also looms large. People are tired of more blasts, more killed, and more wounded.